Prince Carl Philip raced at the Swedish Touring Car Championship in Karlskoga. 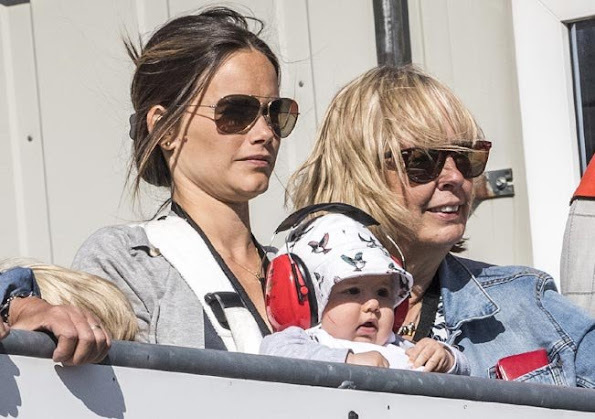 Princess Sofia of Sweden and son Prince Alexander watched the race in Karlskoga. 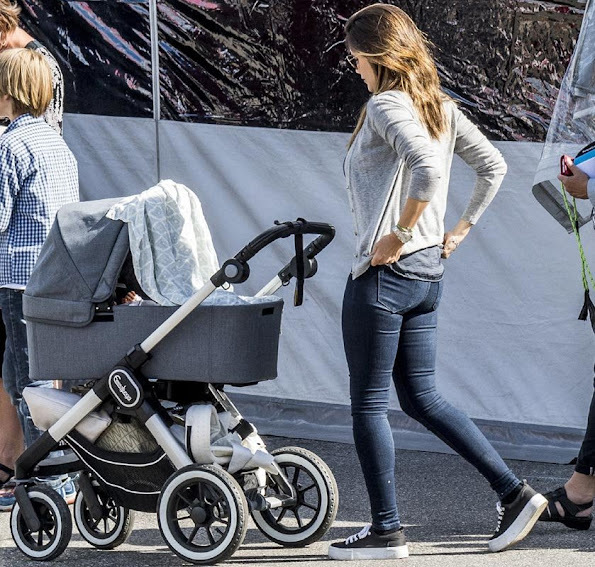 It was such a treat to see pictures of PrinceAlexander. Oh my, he is very cute. Sure we'll see more pictures at his christening; cant wait. Alexander is the cutest! How adorable! of course both mom and dad are beautiful as well. The 3 of them look perfect for a day at the races. Her teeth are not "fixed", you can see that very clear on these pics. She did not fix her teeth, just learned to smile with a closed mouth due to all the criticism. Yes, Jeans are a good option for a car race. To me her Jeans seem always a bit too tight. The little prince is adorable, what a healthy and happy looking young man! Jeans are too tighjt for her curves.